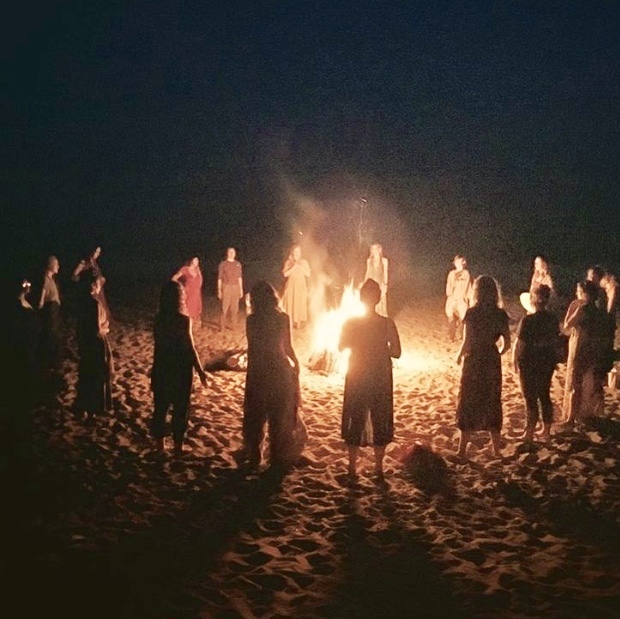 Are you looking for a retreat or private vacation that recharges and nourishes the mind, body and spirit, while also immersing yourself in culture and adventure? Gitana del Mar Resort in Colombia is designed and built specifically for our guests to reconnect with Mother Nature, both through relaxation and adventurous outdoor activities. We will reserve and book out the entire property for your group, retreat or special event. Our Eco-friendly resort offers something for everyone, and during our exclusive retreats you will enjoy a great blend of leisure and adventure all in the same day. Enjoy the views of the Caribbean Sea through the shade of palm trees as you flow through your sun salutations in our beachfront Yoga Rancho. Afterwards, jump in a kayak and go for a paddle to experience the stunning backdrop and 280 degree views of the Sierra Nevada Mountains from the Sea. Gitana del Mar serves up retreats in Colombia where you can enjoy daily yoga in the morning and adventure or relaxation by afternoon. Go on a jungle trek or take a siesta in a hammock with a good book after a delicious lunch. It’s your choice. Our central location offers many adventurous and cultural activities to do both here in the resort and nearby. At night, enjoy an impressive bonfire on the beach while gazing up at the moon, the Milky Way and all the shooting stars. Then, when the day is done, lay your head to rest on our super comfortable beds in our Eco-Chic Bungalows and Glamping Tents. Each room is free from televisions, alarm clocks and air conditioning so you can really connect with nature and breath freely the salt air. Live alongside nature for your vacation with the ocean lulling you to sleep at night and the calm sunshine waking you up in the morning. We welcome many different types of retreats such as: yoga, pilates, ayurvedic healing, cleansing, detox and even cooking etc. Our resort can also be reserved for family or group vacations. This allows for ultra-private and exclusive getaways. Your family/friends will have the whole place to themselves. Contact us to discuss your specific group needs. From there, we will design a customized vacation package, ensuring that your stay is everything you desire. Enjoy the luxury and comfort of a catered resort. Work directly with our kitchen to design a menu for your visit that fits the style of your retreat and satisfies the palettes of your clientele. We focus on using locally sourced ingredients and creating healthy food options for your daily nourishment. Imagine picking fresh star fruit and mango off of the trees, and being served cold coconut water after a long morning yoga practice…yum! Aside from our oceanfront Yoga Shala, Gitana del Mar also offers local tours and adventures such as: waterfall hikes, river floats in inner tubes, jungle treks, visits to nearby indigenous village, massage and spa services and much more. If you’re looking for adventure or relaxation, there’s no shortage of either here! Our retreats and group packages are limited to groups of 27 people or less. Contact us to organize an exciting retreat or group vacation for you and your clients. What dates do you have in mind for your Retreat?